Bruree Juvenile GAA was very annoyed and disappointed with events in Effin when we believed we were taking part in an Under 14 11 a side County Final only to discover after the match that in fact it was a Semi Final. The official notification to the club and the published fixtures in the Limerick Leader and Vale Star also had stated that it was a County Final. 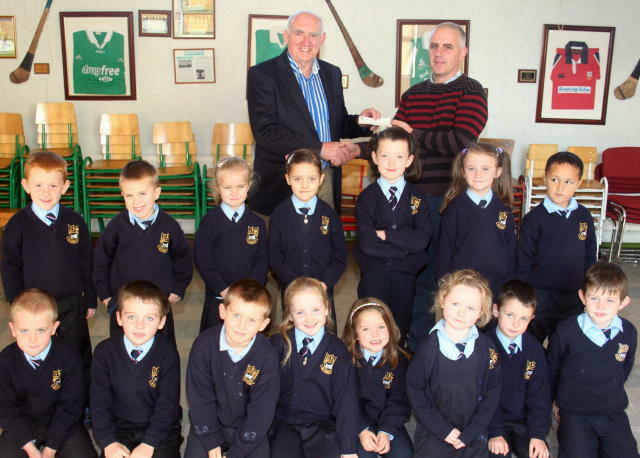 The Juvenile County Board subsequently accepted responsibility for the mistake and apologised for the confusion. Congratulations to the Under 14 footballers for their great display in defeating Galtee Gaels in the Semi Final and we wish them all the best for the final whenever it is played. Congratulations and best wishes to Sean Quirke and Jimmy Leslie Madigan who are taking part in the Sarsfield schools competition. 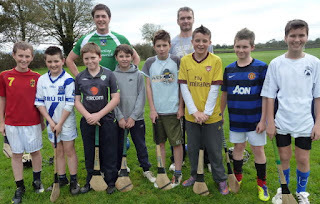 The annual indoor hurling tournament got underway in the Community Centre this week and will continue each Monday and Thursday evening at 7.00pm. This tournament is once again sponsored by Ray Moloney and the club is very appreciative of Ray's continued support. Players Development Fund: Bruree GAA is holding its Player Development Fund annual draw again this year. 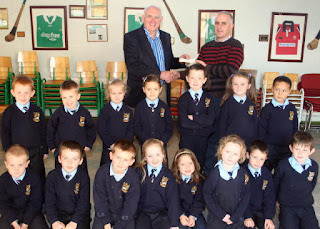 The 2011 draw has €4,000 in prizes over four weekly draws. And the good news is that the subscription is still the same - just €20 for the four draws. The first draw will be held on Monday, November 28th, with the other draws on subsequent Monday nights. The Grand Prize in the final draw on Monday, December 19th is a weekend for two in New York or €1,000 in cash. Contact any member of Bruree GAA to join the draw. 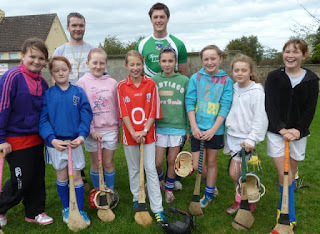 Winners of last week’s 45 Drive were Sean Blake and Katharine O’Regan with ten games. Runners up were Eugene Grant and Joe Carey with seven games. Raffle prizes went to Brendan O’Kelly, Eddie Ryan (x2) and Mary Margaret Noonan. The 45 Drive continues in the Community Centre every Tuesday night, starting at 8.30 pm sharp. We extend our sincere sympathy to the family, relatives and friends of Rev. Fr. David Browne, Ardpatrick, and Peig Barrett, Feenagh, who died recently. Bruree Rockhill Community Games held an AGM on Tuesday last October 18th as previously advertised. The current committee has come to the following decision: Bruree Rockhill Community Games does not intend to affiliate for the year 2012 due to lack of parental interest and poor attendance. The local Community Games committee will remain inactive unless sufficient numbers of people contact the local secretary at 087-2847429 and express their intention to support in the organisation of local activities. If sufficient interest is forthcoming, a further meeting will be held on Tuesday, November 15th. Limerick and Kilmallock hurler Gavin O’Mahony paid a visit to Bruree National School recently. 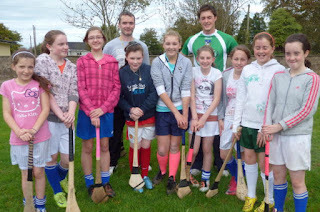 Along with Stephen O’Halloran, he gave some hurling tips to our young players who gave them a great reception. Emma Hogan and Emma Howard are picked on the South Limerick (Girls) Primary School Football Team. 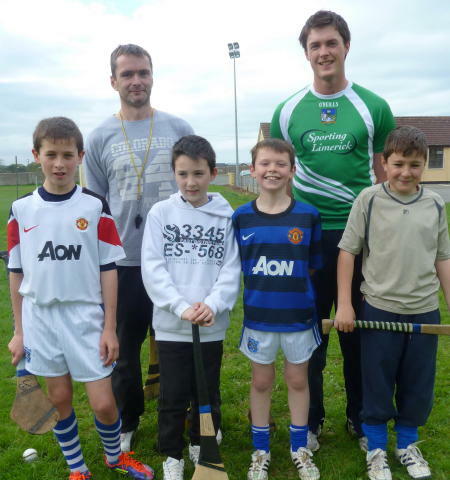 Jimmy Leslie Madigan and Sean Quirke have been picked for the South Limerick Sarsfield Cup Football Team. Lucky dip winners in last wek’s Bruree GAA/Rockhill Rovers lotto draw were €50 Helen and Patricia c/o Ann Potter €25 Nora Power, Matthew O’Halloran, Newport €20 Tom Cotter, Ballyagran, Edward Potter, Berlin, Josie Lynch.